As Gouda As Dead is out. Reviews have been great. Thanks to all the bloggers and reviewers on Goodreads, Amazon, Barnes and Noble, and elsewhere for your fabulous support! 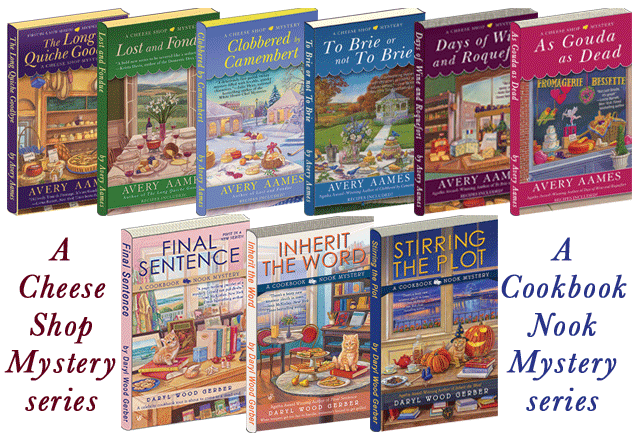 “As Gouda as Dead by Avery Aames was a solid cozy mystery that had me guessing from the beginning to the end. It was well-written and didn’t give away the identity of ‘whodunit’ until the end of the story." “I have not read any of this series but absolutely love Avery Aames other series under the name of Daryl Wood Gerber. I know I am putting the first 5 of this series on my wish list for sure. This is a super read, with amazing characters, a wonderful town and the writing is stellar." 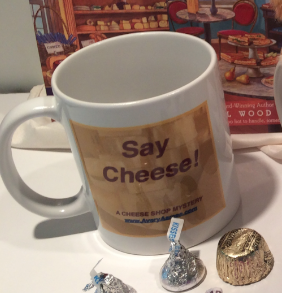 And I'm offering another giveaway today - a Say Cheese mug filled with sweet kisses! 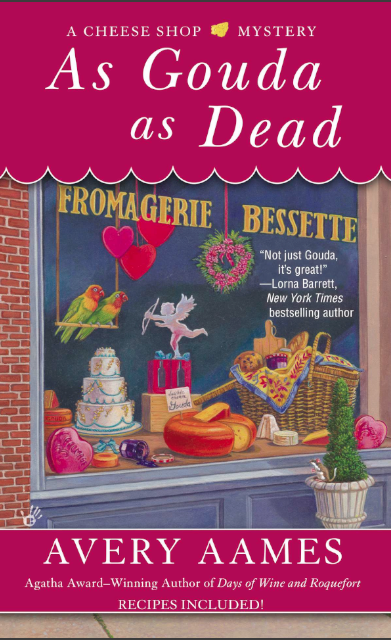 I loved writing As Gouda As Dead. I got to take Charlotte on another leg of life's journey. She had to face many challenges. As she goes through them, so do I. Which makes me eat more. Or certainly crave cheese more. So I came up with this recipe and attributed it to one of my favorite characters: Tyanne. If you don't know, Tyanne is a good friend of Charlotte. She started out as an assistant at the Cheese Shop and is now the premier wedding planner in town. Tyanne and her family migrated from New Orleans after Hurricane Katrina. Not soon after, her husband dumped her (the rat). But she is resilient and determined to make a better life for herself. No matter what personal dramas she faces, she will survive. I think many of us can learn from Tyanne's strength. 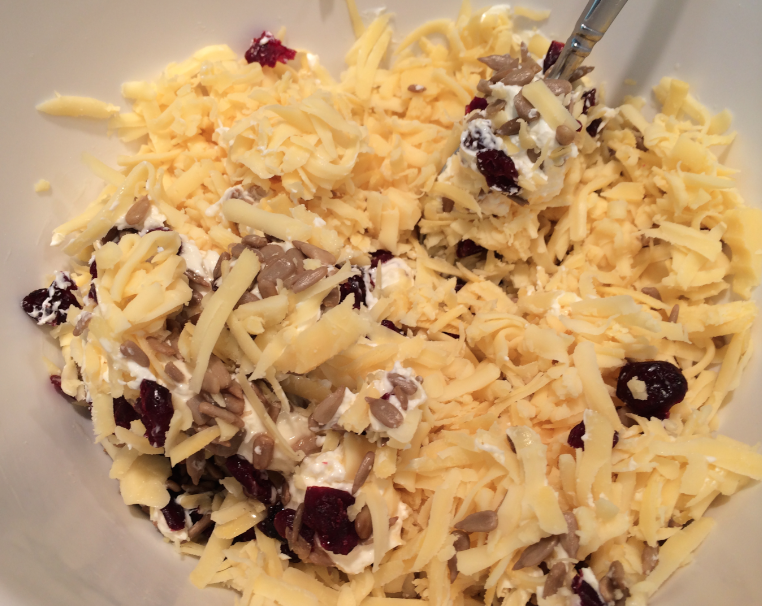 Put all the ingredients into a large bowl and mix well. 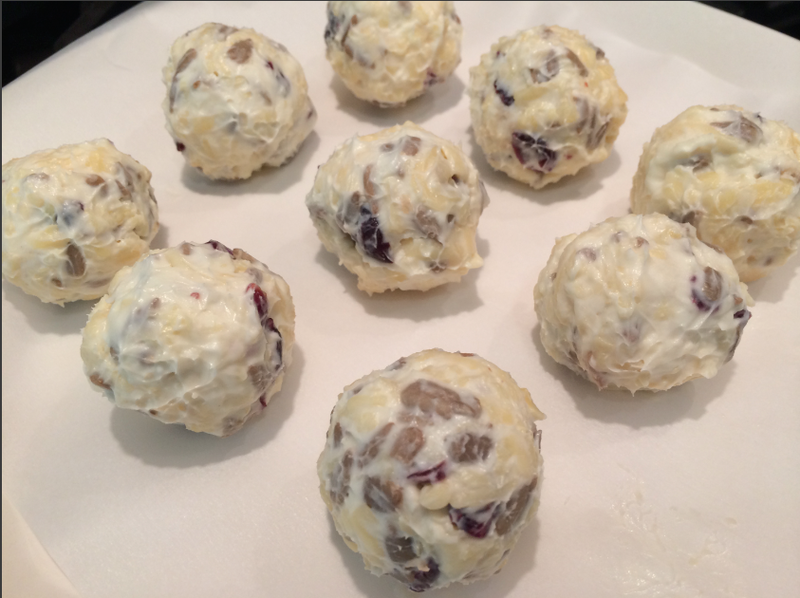 Using your hands, form the mixture into balls. 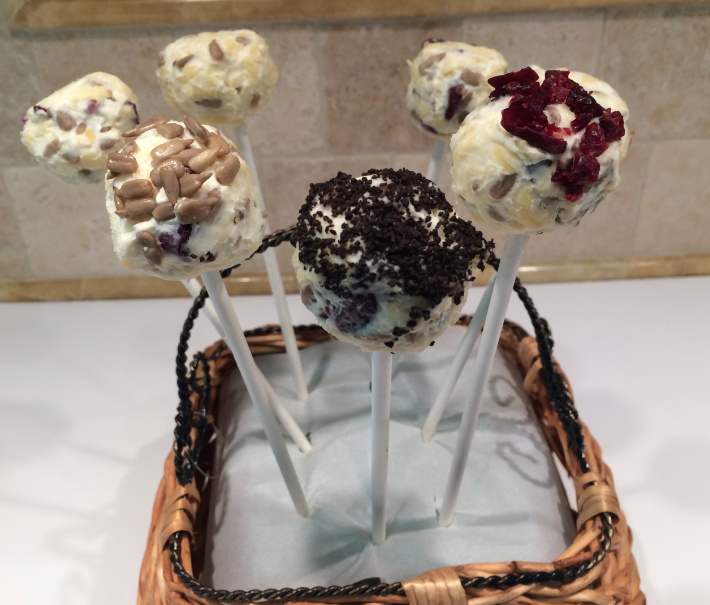 Insert a white lollipop-style stick. 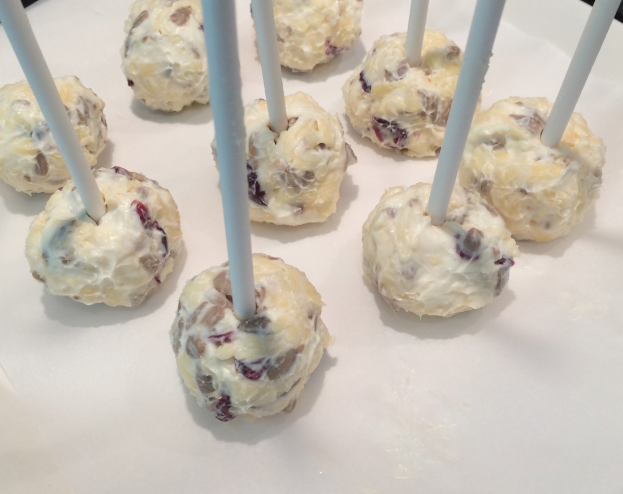 Set the pops, cheese-side down, on parchment paper and return to the refrigerator to harden. 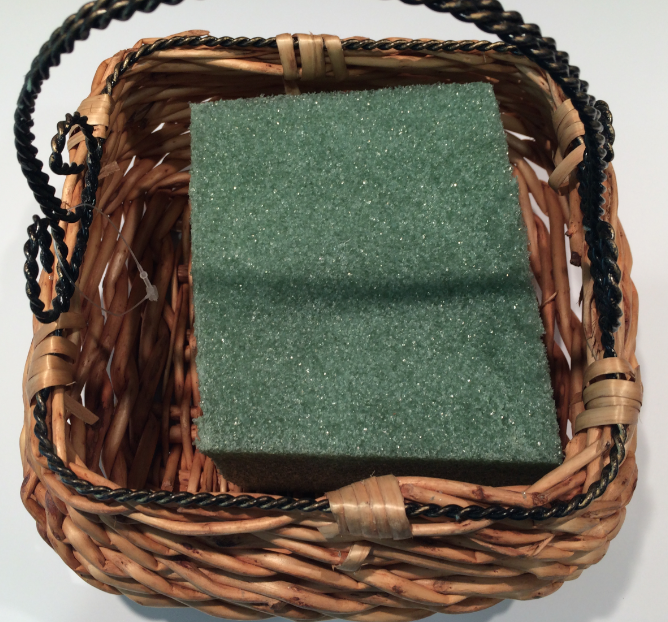 When ready to serve, cut a piece of Styrofoam to fit into a serving bowl or basket. 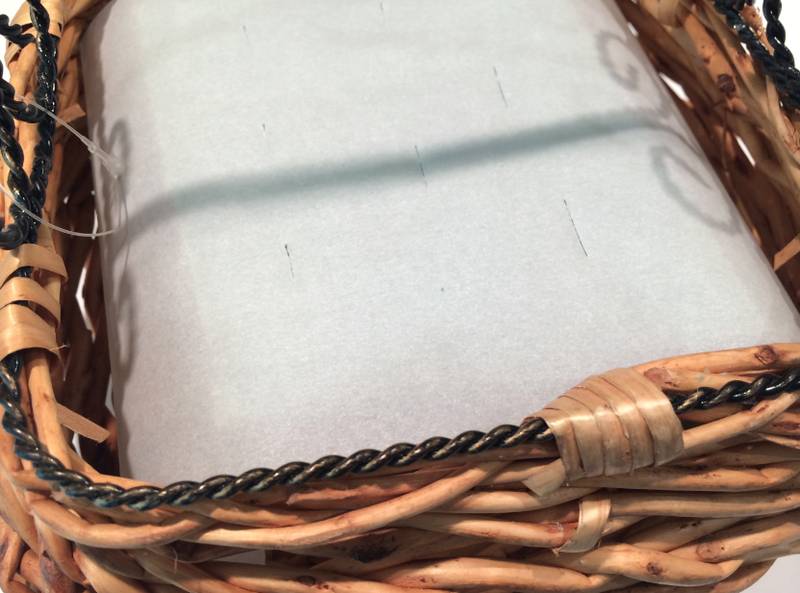 Cover the Styrofoam with a piece of parchment. Make 12 slits in the parchment. Shove the cheese pops, stick-side down, through the slits into the Styrofoam. Bring to room temperature and serve. And now for that giveaway. I'm giving away a cute Say Cheese mug plus some swag! 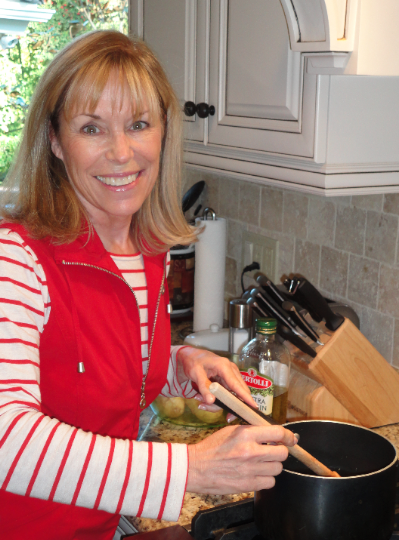 Tell me, do you try out new recipes when you have company over, or do you test them first? PS Take a look at the new cover for my next Cookbook Nook Mystery...below! So cute. 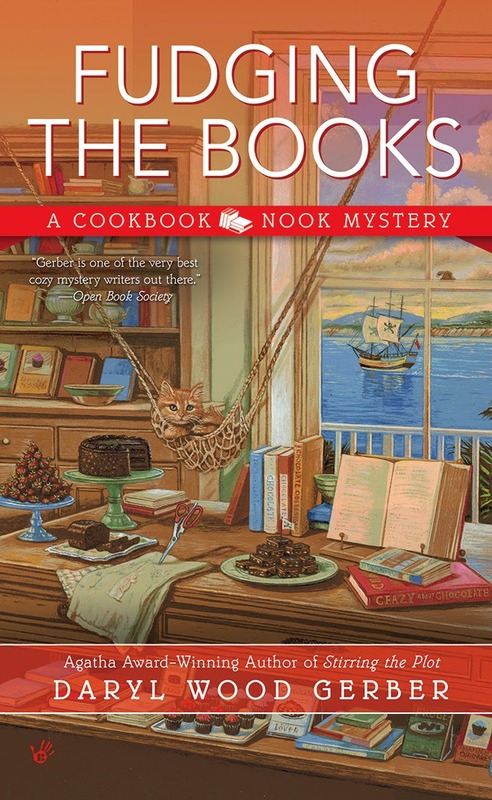 FUDGING THE BOOKS, the next Cookbook Nook Mystery, is available for order: order here. I'll try new recipes on friends.